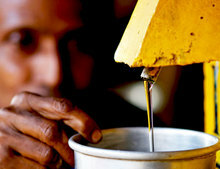 About 1 in 10 people worldwide lack access to safe water. Nearly 1 billion people practice open defecation. Every 90 seconds, a child dies as a result of poor sanitation. You can start a myGFA campaign and help give clean water to those in desperate need. Each project is proven to make a significant impact at a low cost. 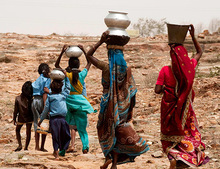 Raise awareness and funds to provide clean water to needy families for World Water Day—March 22nd! Raise funds to provide life-saving water through Jesus Wells and BioSand water filters, and help support ongoing maintenance of these clean water projects. For many families in Asia, the only choice of water is one full of disease, often leading to death. 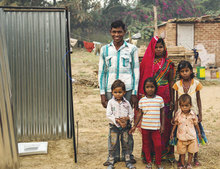 However, a BioSand water filter removes 98 percent of impurities from water leading to healthier and happier families. At only $30 per filter, it is easy to raise funds for many! 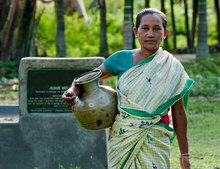 Many villages in Asia have no access to clean water. In others, clean water is denied to the poor due to social inequality. For $1,400 a Jesus Well can be drilled that reaches deep into the earth to pure water sources. The water is made available to all who come and is a testimony of the God who loves all men. One well can provide water for a whole village—an average of 30 families. Outdoor toilets provide better sanitation for families who otherwise would be using the restroom outside, helping them prevent diseases and stay healthy. Middle school students from Texas had a bake sale to raise money for water filters. Christal gives 10% of the proceeds from her business toward Jesus Wells—with the goal to build one well each year. Lauren, Megan, Paige, Drew and Eli are raising money for one Jesus Well as a school project. Choose a project on the field that you want to raise funds for. Set your goal and create your own personalized campaign page. Inspire your friends. Run, bike, give up birthday gifts. Tell people about your page so they can join with you. Whether you meet your goal or surpass it, all donations to your campaign will be used effectively.